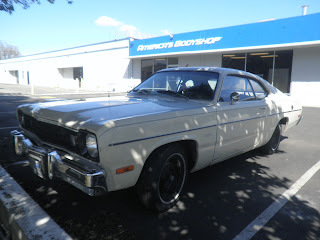 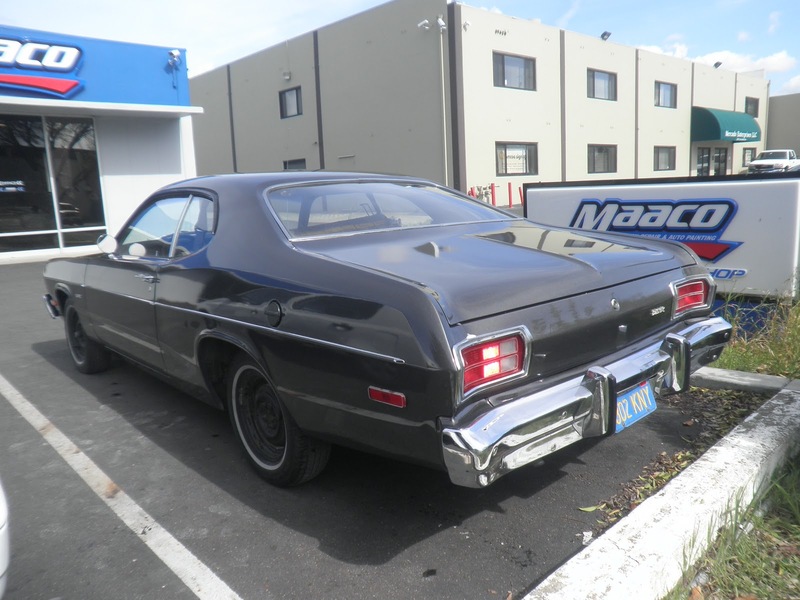 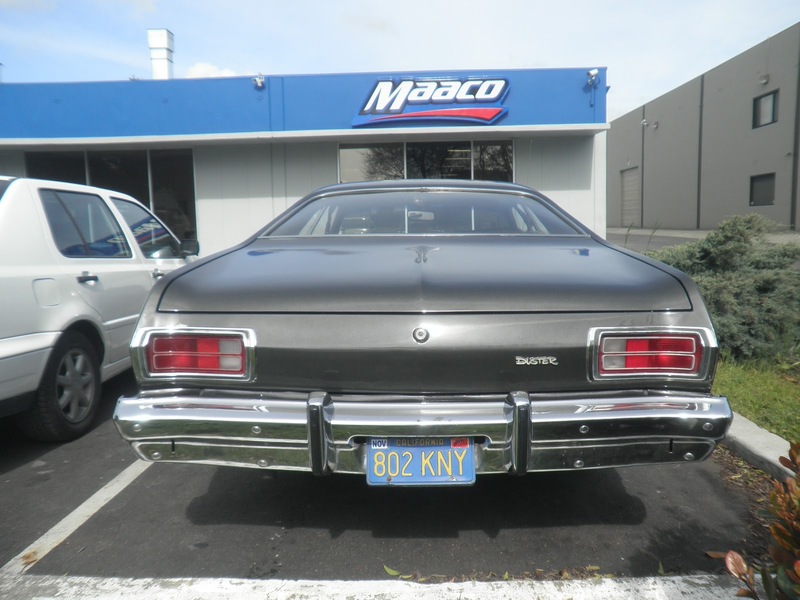 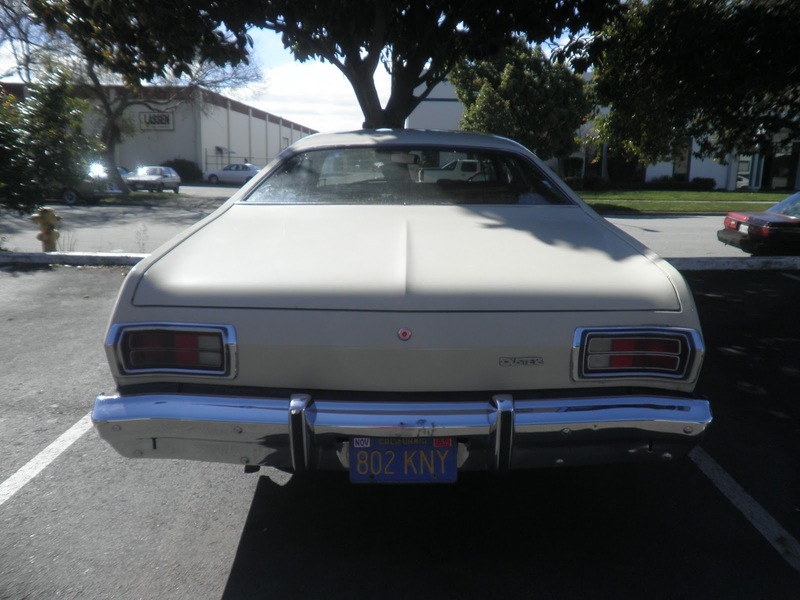 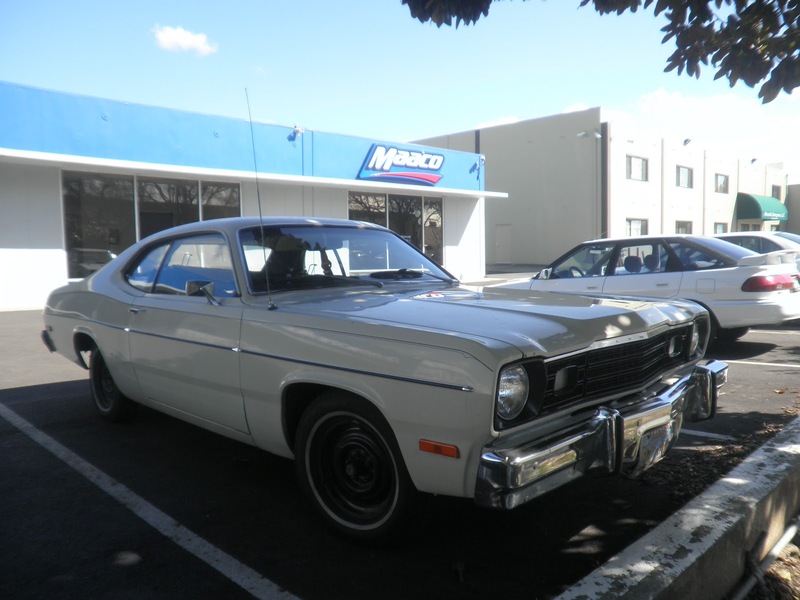 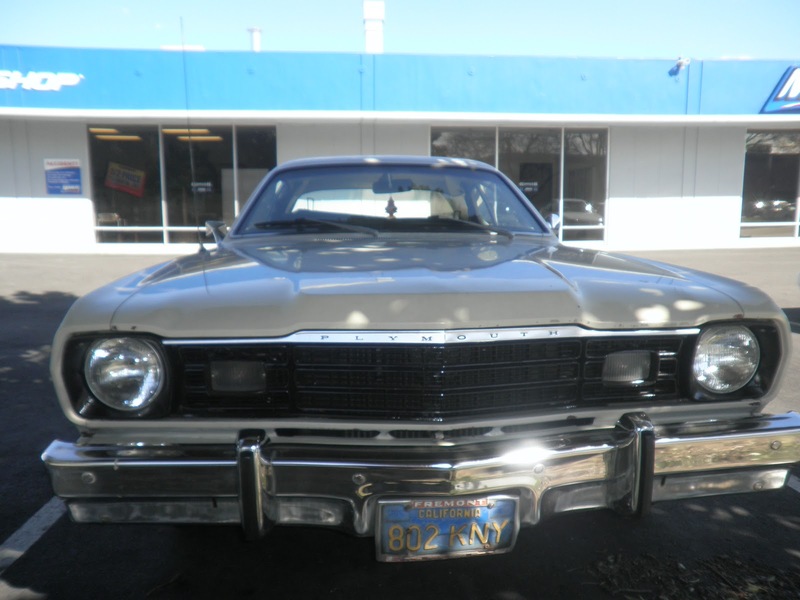 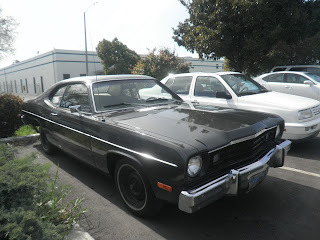 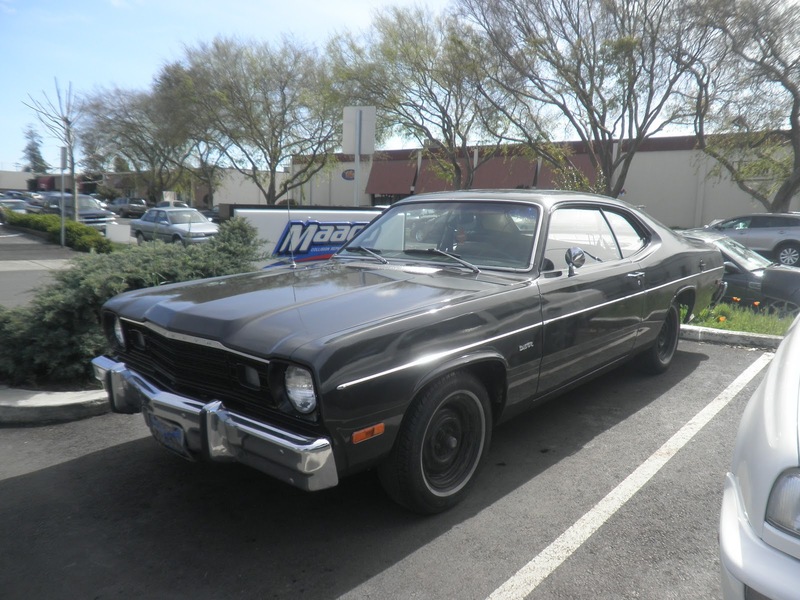 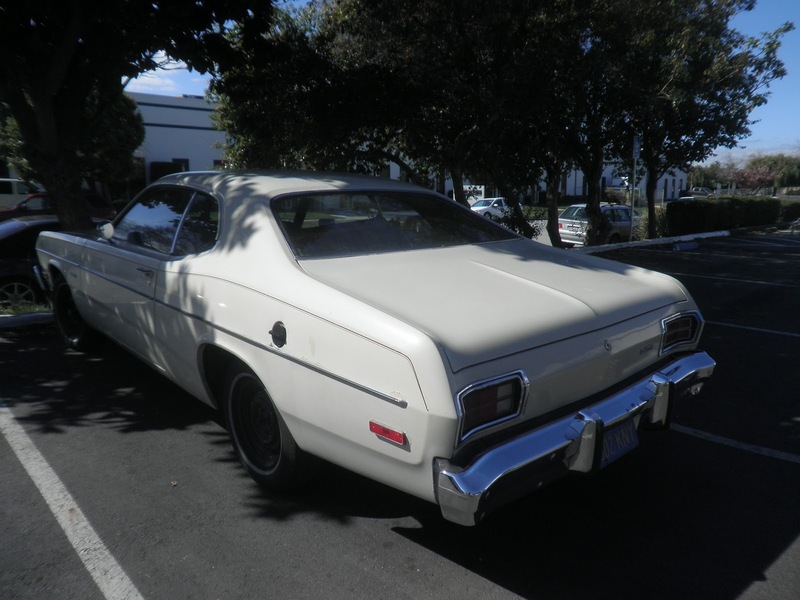 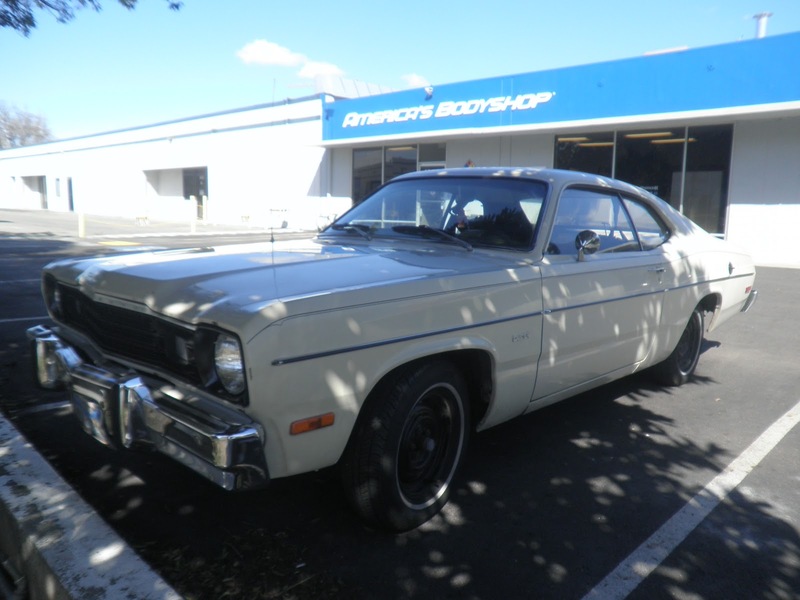 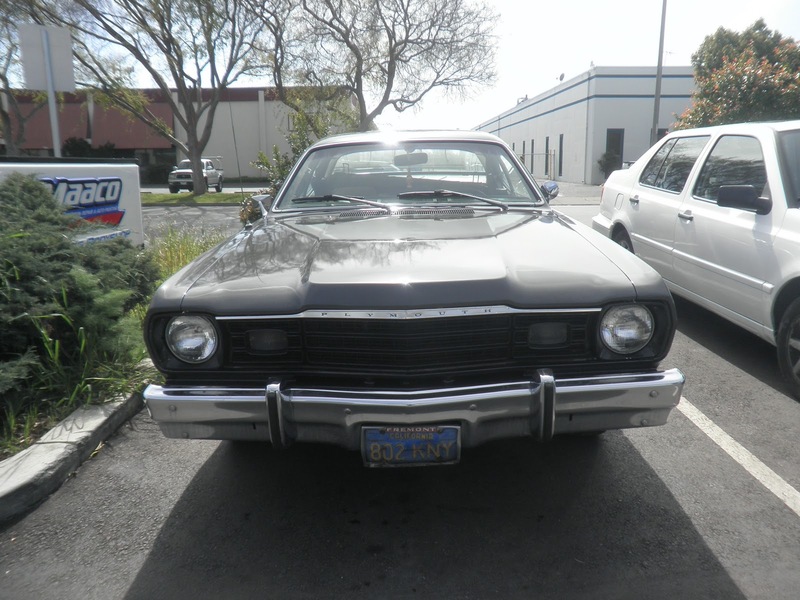 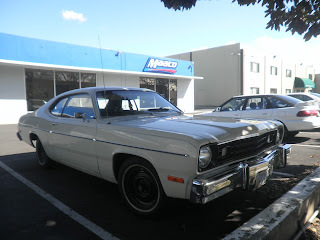 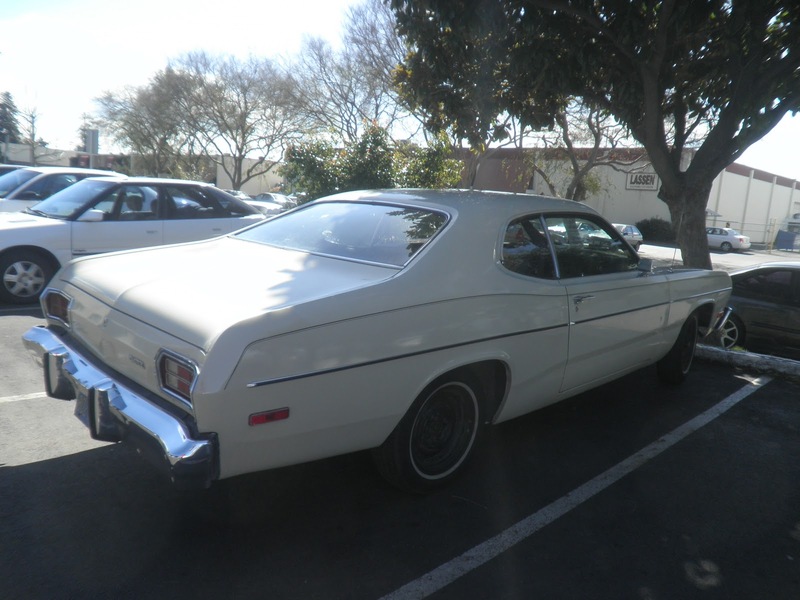 Today's Car of the Day is a 1974 Plymouth Duster that came in with dings on the hood, and chips and scratches around the entire car. 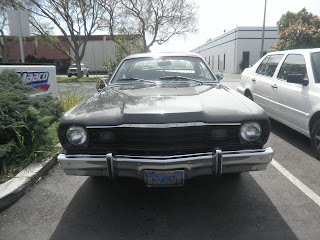 Almost Everything Autobody repaired the dings and sanded the chips and scratches on the car, and apply primer-sealer. 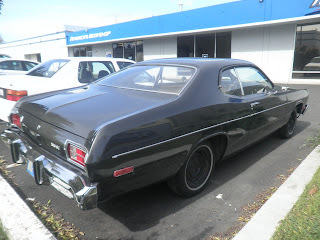 The owner did not like the color on the car and wanted a darker color. He had us paint it a gun metal pearl in single stage paint service. 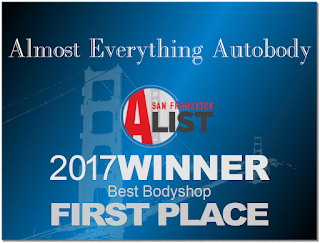 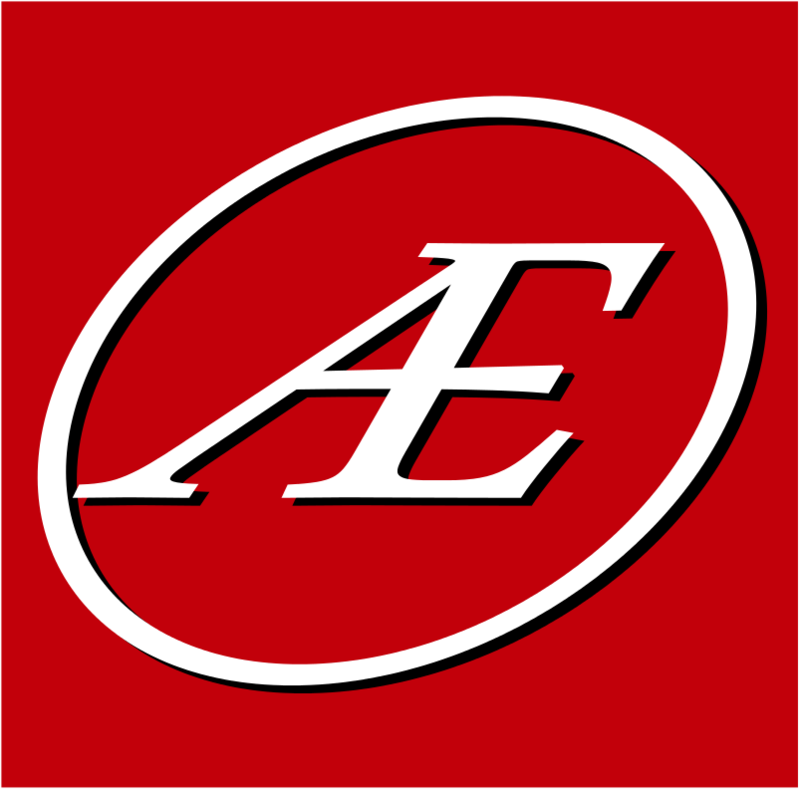 Almost Everything Autobody also sanded the door jambs and under the hood and under the trunk jambs for a complete color change.